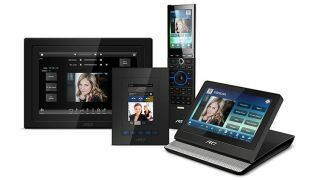 RTI has announced new video intercom support for select RTI controllers and third-party intercom-enabled devices. Ideal for front door access, security gates, intra-office, and room-to-room applications, this new capability allows users to conveniently and safely communicate from point to point via their RTI devices. RTI’s video intercom capabilities are supported on the KX3, KX7, and KX10 in-wall touchpanels, the CX7 and the upcoming CX10 countertop/under-cabinet touchpanels, as well as the company’s flagship T3x–delivering the company’s first video intercom-enabled handheld controller. Via a free firmware update, dealers can also leverage video communications on compatible devices that support H.264-based video intercom via SIP. These devices also support auto answer or do not disturb modes, while a push-to-talk audio mode lets users communicate via voice only from device to device.